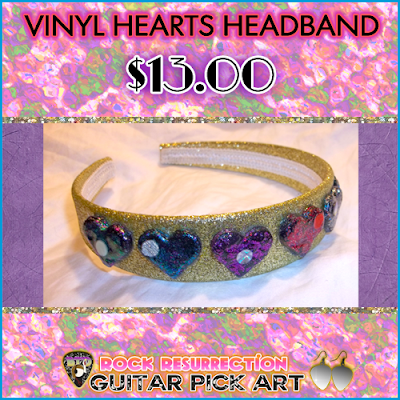 Gold headband with heart shapes made from records! Vinyl heart shapes are cut from vinyl records and layered and sealed with different colors of glitter and resin. Then I permanently glued them to a gold glittery headband. Check out the video! ✓ If you are interested in one of these, you can reserve them or send me an email.